A sense is a physiological capacity of organisms that provide data for perception. We feel whatever there is going on beside us. Our sense organs catch those stimuli and create impulse to send it to the brain where the actual interpretation is done. Our brain understands what is happening out there and sends back impulse to different body organs to react accordingly. For these processes, nature has provided us with five sense organs. They are eyes, ear, nose, skin and tongue. Human brain is well developed organ and is the most developed among all the creatures nature has ever created. It can function far better than anyone can ever imagine. Despite all these, brain too gets confused or even overdriven when it has to control more than three organs voluntarily. When brain has to interpret more than three senses at a time, it tries to execute all simultaneously and movement of our body gets mixed up. It has lots of disadvantages and even advantages too. You all might have experienced the situations I’m explaining here. Sometimes you need to be disciplined and you need to stay focused to your meeting or classes if you are a student attending lectures. Meanwhile if a loud music hits your ear, your concentration breaks there and you start enjoying the music diverting your mind instantly. You even start tapping your legs unknowingly. Actually that is something already set in your brain and you can't just skip the action of your brain. No matter how much you try to avoid the music you cannot. At the very instant, your brain is catching the sense of vision that lets you know that the lecturer is in front of you and you are supposed to be concentrated. On the other hand, your brain is attracted by the sound which orders your body to move or dance like you used to before. The impulses simultaneously flow and as a result you keep looking straight and keep tapping your feet maintaining the beat at the same time. Brain is the organ that stores data you receive every day. The data you repeatedly provide to the brain is more likely to be stored permanently. Likewise, the activities you carry on daily eventually becomes your habit and your brain take it as a compulsion no matter whether it might be good or bad. This is the way we develop a habit. If you ask me, I would tell you that the most difficult task in this world is changing the habit. This is the reason you cannot avoid your brain to function more than two things at a time which might be harmful too. If you are an active person or if you are someone who can’t stay still for more than 10 minutes then you of course have a habit of shaking your legs continuously while sitting on a chair attending a meeting or a lecture. Don’t worry it is not just your problem. Anyway it might seem quite annoying for the person next to you. If the brain plays the game with you, why don’t you try playing games with your brain? Utilize your brain’s confusion for your own benefit. Your brain is the master of all the body organs and if you become the master of your brain, you’ll win yourself. Suppose you have to do any work calmly but your brain is totally perplexed and you mess up with everything around, listen to the calm soft music. Your brain receives sound and interprets it as a soft melody which forces it to send the impulse to the body organs to react as slowly as possible keeping the same constant beat as given by the music. If you are in hurry and you need to work fast or run quickly to reach somewhere or even write a piece of paper instantly but your hands and legs are slow like a slug, just turn the fast music beat or some kind of hard metal songs. Believe me, your brain will order your hands and legs more than 3 times faster than it would be at normal condition. 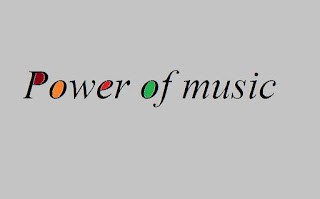 I would better call this as power of music. You can use this idea to hack many of your tasks to make those smooth as butter. 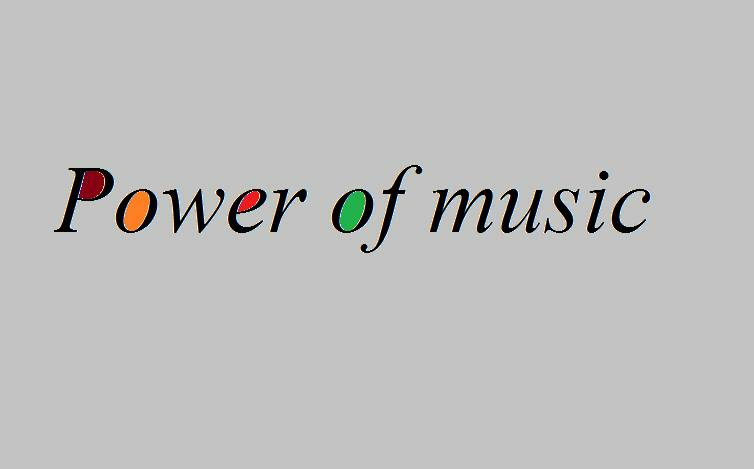 Music can change your mood anytime instantly. If you use music at wrong time, it can even be harmful. If you play emotional soft melody when you are really depressed, you might even be suicidal. When you get depressed, it is strongly advised to listen to highly motivating songs having fast beats. Your brain starts catching those motivating words and processes it at the speed of the beats flowing in the song. It gives brain no time to think about the matter that depressed you. It might easily recover you from the depression. When you’re angry, don’t listen to the hard songs or see some evil pictures. It might strictly divert your brain to become evil as you exactly see or listen to at that time. Try getting away from everyone and do something that makes you extremely happy. It might be playing something or reading some interesting books. When you’re angry and extremely frustrated, don’t try doing something that is challenging or difficult. It might increase your frustration level and even worsen the situation, which is exactly the opposite of what you want. You get intertwined with many of the things at the same time and it might either depress you or make you more aggressive. You should be the master of your own body. You must not let any of the senses control over you. Everyone has the capability to control the senses and hack the brain if it is habitual to some kind of ill behavior. It is hard to change your habit abruptly but what if you use your stubborn brain to benefit yourself. It’s you who can explore how to control your brain. Try finding more ways to make your life easier, better and stress-free. If you have any sort of confusion regarding this topic or if u want us to provide you with any kind of suggestions related with any topic, please contact us without any hesitation. We will answer you as soon as possible. You can contact us on our facebook page at any time you want.